The gluten topic has become a really hot and trendy subject. I recently watched a talk show devoted to gluten. Apparently when people on the street were asked if they follow a gluten free diet, most of them responded that they do. When asked what gluten was, however, most of them had no clue! They just know that it’s trendy, and they want to follow suit. The main point is that people are using the gluten trend to step away from wheat products. One reason why this is good is because most people who are gluten sensitive are not aware of it because they do not present any symptoms. 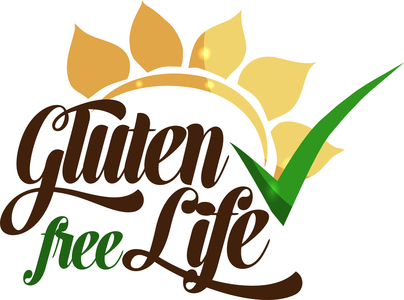 As I mentioned in my recent blog post, about two-thirds of people who are gluten sensitive do not present any symptoms for a very long time, and most of these individuals are not aware of this condition during this time. This does not however mean that these individuals are not harmed by gluten. In fact, even when not symptomatic, gluten causes progressive damage to the intestines in sensitive issues that can lead to malabsorption syndromes, progressive inflammation of the digestive tract and even some cancers like the lymphomas of the intestines. Thus, the one percent of individuals in our society who have celiac disease (i.e. symptomatic gluten sensitivity) is not a true representation of the syndrome. At least twice as many individuals are not symptomatic. As mentioned before, another reason why I think that the gluten free diet is beneficial is because people are stepping away from wheat products. This is a by-product of the gluten-free popularity but it is nonetheless very beneficial to our society. Our obesity epidemic is, to a large extent, caused by refined carbohydrate products, and a large proportion of these products are wheat products, especially foods made out of white flour. Perfect examples are white bread, white pasta, and white buns on hamburgers and hot dogs. These foods get easily digested into individual glucose molecules which, when absorbed, get easily and quickly converted to fat. Not only that, but because of the quick absorption of glucose after consuming such foods, insulin (the main hormone used by the body for utilization of glucose) spikes quickly to high levels. Such insulin spikes cause more glucose to be converted to fat and also lead to insulin resistance. This is the first step on the way to developing full blown diabetes along with all of its complication, examples being kidney failure, loss of eyesight, cholesterol plaques in the heart and brain leading to heart attacks and strokes respectively, and insufficient circulation to lower extremities leading to leg ulcers and claudication (i.e. severe pain in the legs when walking or running). Thus, the gluten trend has a very favourable side effect. By following the gluten trend you not only eliminate the risk of intestinal damage due to gluten (especially when the syndrome is not symptomatic) but you are also taking steps to leading a healthier life by doing something that helps prevent being overweight and also something that can assist in excess weight reduction. You may be pro-pizza, as one of the talk show hosts said, but this does not prevent you from ordering a thin, gluten-free crust. I encourage you to jump on the gluten-free (or at least gluten-reduced) bandwagon on the way to a healthier and “thinner” life. Categories: Lifestyle | Tags: gluten, gluten sensitive | Permalink.